As The LSU tigers defeated Maryland Saturday to advance to their first sweet 16 in year 14 years. 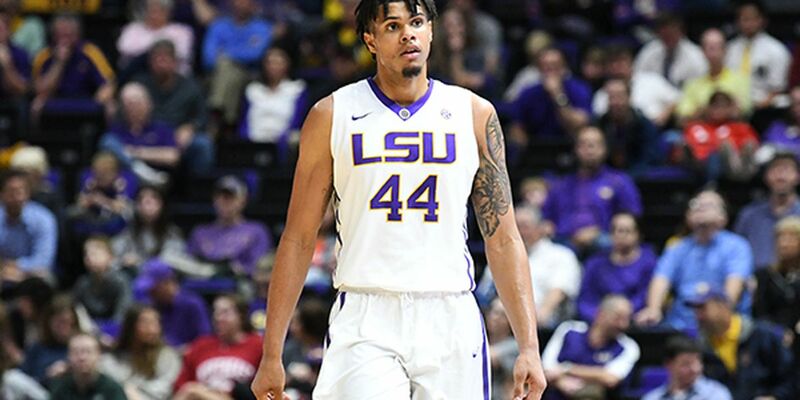 Fallen teammate Wayde Sims remained entailed in the Tigers’ thoughts. 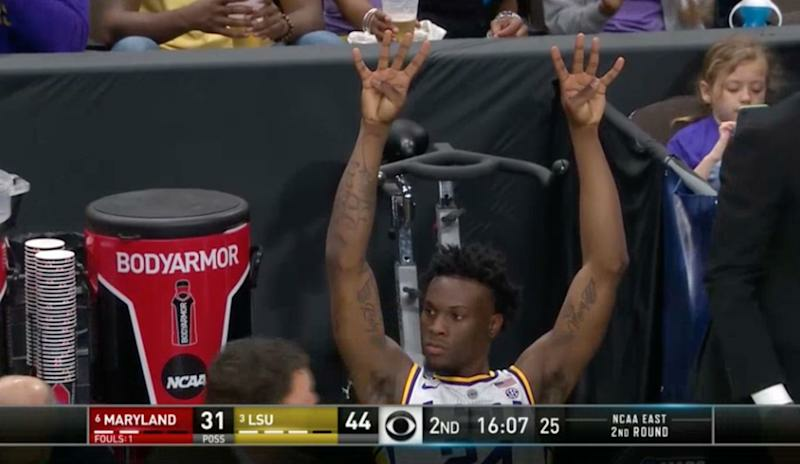 Freshman forward Emmitt Williams even took time to honor Sims when LSU’s score matched the passed away player’s number 44. He held up four fingers on each hand on the bench as “44” chants broke out in the stands. Sims was shot in the head last September after intervening in a fistfight to defend a friend outside a fraternity party near the Southern University campus. Alleged shooter Dyteon Simpson, 20, has been charged with second-degree murder and is being held on $350,000 bail. Nobody on the LSU roster was closer to Sims than former high school teammate and longtime friend Skylar Mays. The LSU guard writes the number 44 and the date of Sims’ death on his right shoe before every game. Moments after delivering a game-winning layup at the buzzer to defeat Maryland on Saturday afternoon, sophomore guard Tremont Waters was asked on the CBS broadcast if Sims was on the Tigers’ minds.